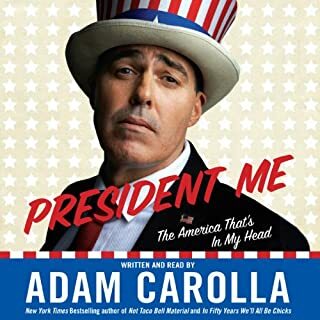 Would you consider the audio edition of President Me to be better than the print version? Adam brings an irreplaceable energy to the story. Adam brings up several good points that may be touchy to some audiences. His view points on efficiency and general human conduct are raw and on point. He still manages to present his points in a way that is comedic and entertaining to the listener. He does a fantastic job in engaging the listener in deep thought and consideration of what would be an ideal America. I love that Adam does not always stick to what is written in his book. He does have a few impromptu bonus tangents when he is recording his book. He just goes along with it. It makes the listener feel like a VIP. I wanted to listen to the whole book in one sitting. The only thing that prevented me from doing so is the sadness I feel when I am finished with one of his books. I never want them to end. I draw it out as to avoid emotional pain. 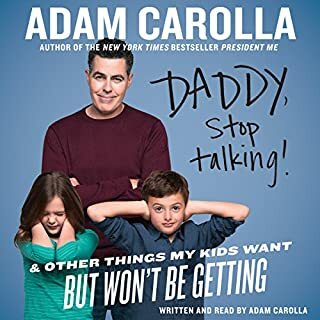 As soon as I discovered this was narrated by Adam, I was like "LESS TALKY. MORE SELLY." No disappointments. Just like every book prior, brilliant. hilarious. I wish it never ended. 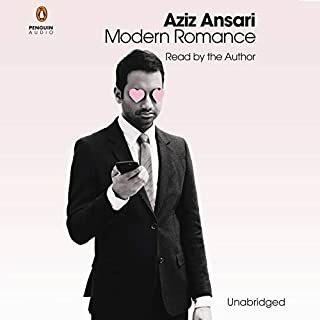 I love listening to Aziz. It's more information than comedy, but still humorous. Worth a listen.